Free shipping - Easy and Convenient to Use. 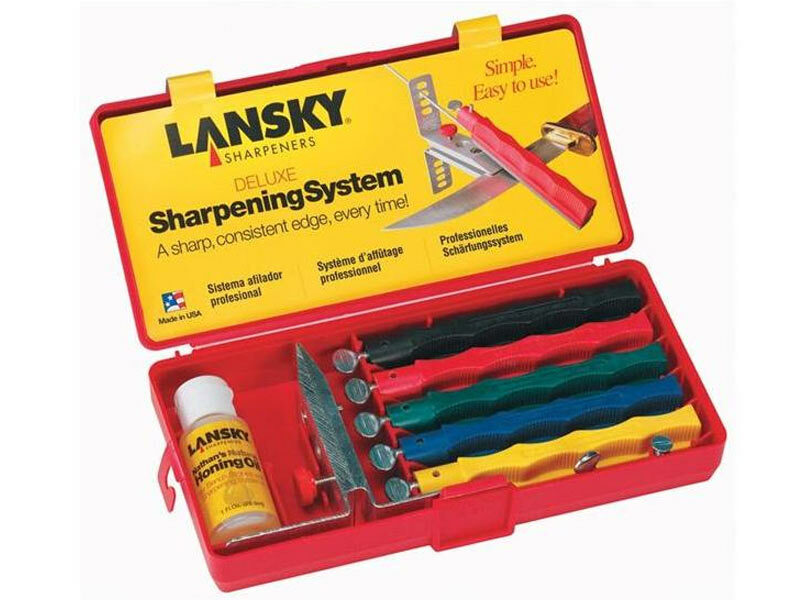 The Lansky Controlled Angle Sharpening System is designed to give a professional, razor sharp edge every time. The Ultimate in Knife Sharpening Systems Technology Safe, Easy and Convenient to Use. The Lansky Controlled Angle Sharpening System is designed to give your blade a professional, razor sharp edge every time. - Precision-engineered, multi-angle, flip-over knife clamp. - Custom molded storage/carrying case to hold all system components.